Preparing the garden for winter is a chore that most individuals attack with vigor in fall. The activities involve more than simply cleaning up and winterizing the home and outbuildings. A crucial part of winterizing is to protect half-hardy and sub-tropical plants. Summer is a good time to indulge in fantasy plants that would normally have no place in your climate, but they need protection to survive cold temperatures that might kill them. Occasionally, you miss a few or the weather is extreme and you end up with freeze-damaged plants. 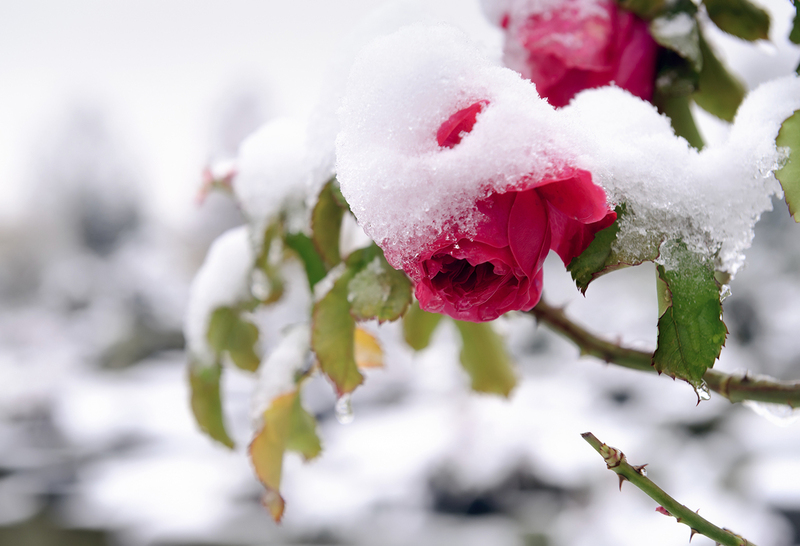 You can’t always save these damaged individuals but there are some methods on how to treat frozen plants. Can you save a plant that has been frozen? The process works on some but the approach is on a case-by-case basis. You have nothing to lose by treating freeze damage to plants, and you might be surprised with the renewal of one of your garden favorites. What is freeze damage? The effects present themselves differently depending how exposed the plant was and what variety it is. Sometimes it is just a matter of foliage damage with cold burned leaf tips and discoloration. In other cases, freeze damage to plants appears all the way into the roots or crown structure. This is the hardest type from which to recover. 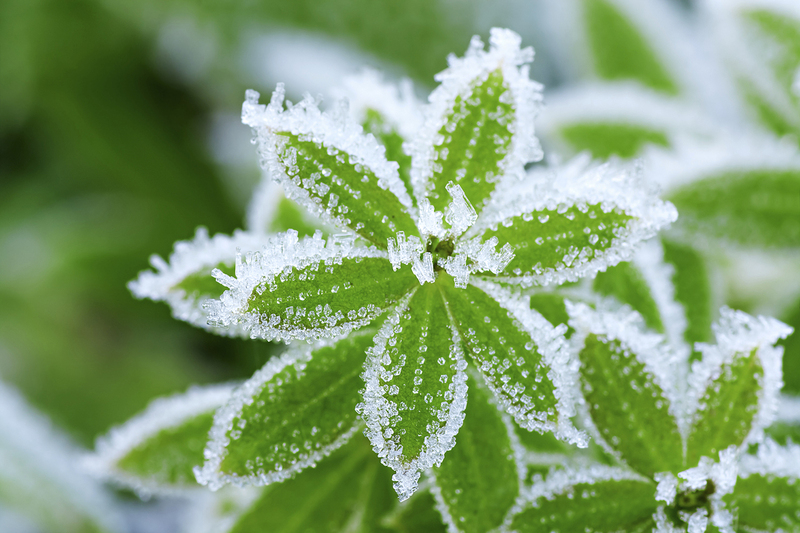 The problems occur when cells inside the plant parts freeze, which causes a cellular shift resulting in permanent change to the tissue of the plant. Part of the plant’s defense is to move water from cells to protect them from frozen crystals inside the tiny membranes that explosively rip cell makeup. This response also prevents the plant from in-taking moisture, so some freeze damage appears as if the plant has been too long without water. Can you save a plant that has been frozen? This really depends on the type of plant and duration of cold it endured. Light freezes on all but the most tropical plants are usually something a plant can recover from. Cut out damaged plant material in spring on woody plants. You can tell what stems are dead by scratching the bark in late winter. If the material is green underneath, the tissue is still alive. They will lose their leaves due to the freeze experience but will usually leaf out again in spring. Keep the plants moist and apply a light fertilizer after all danger of frost has passed. More tender plants will end up like annuals and will not withstand the freeze damage. Occasionally, freeze damaged perennials will have just some damage to the root and you can divide the plant and install the pieces in the ground. The ones that come back up did not get a killing blow from cold in the root area. Succulent Freeze Damaged Plants Succulents and cacti have different tissue than woody or most perennial types. The thick pads and leaves store a great deal of water, as do the bodies and stems. Freezing causes massive cellular damage both inside and outside of the plant. However, many of these plants are remarkably hardy. Don’t cut off the foliage or stems on damaged succulents. Instead, watch them for a period of weeks. Pull gently on interior leaves to see if the core is damaged on plants like aloe and agave. If interior leaves pull out easily and are mushy and black at the base, the plant has succumbed and should be removed. If you see signs of new leaves and growth, the plant is salvageable. For more information, visit Gardening Know How.